Bowdoin College women's basketball coach Adrienne Shibles. Bowdoin College women’s basketball coach Adrienne Shibles of Knox, who has guided the Polar Bears to the Division III Final Four, has been named the United States Marine Corps/Women’s Basketball Coaches Association NCAA Division III National Coach of the Year. Bowdoin assistant coach Megan Phelps of Southwest Harbor also has been honored as one of three Division III recipients of the WBCA’s Thirty Under 30 coaches award. Shibles will be presented with the Pat Summitt Trophy, named after the late University of Tennessee Hall of Fame coach, during the WBCA Convention in Tampa, Florida. Shibles and Phelps guided the Polar Bears to a 31-1 record through Friday’s 71-60 national semifinal victory over University of St. Thomas (Minnesota) in Salem, Virginia. Bowdoin plays Thomas More of Kentucky (32-0) in Saturday’s 7:30 p.m. national championship game. The Polar Bears, who have set the program record for wins, went undefeated during the regular season for the second time in school history. Their only loss came against Tufts in the NESCAC championship game. This is Bowdoin’s second straight Final Four appearance and third in school history. Shibles had already been named the NESCAC, D3hoops.com, Northeast Region and New England Women’s Basketball Association Coach of the Year. She became Bowdoin’s winningest coach with a win over Husson University in Bangor in January and owns a 253-64 record in 11 seasons. Shibles played at Mount View High School in Thorndike and helped lead the Mustangs to a 69-3 regular-season record during her four years. Coach Allen Downer’s Mustangs lost to Messalonskee of Oakland in the 1987 Class B state championship game. She went on to become a 1,000-point scorer and two-time captain at Bates College in Lewiston. Shibles’ coaching career includes stops as an assistant coach at Babson College, and as a basketball and soccer assistant at Colby College before becoming an assistant at Smith College, where she earned a master’s degree in exercise and sports studies. 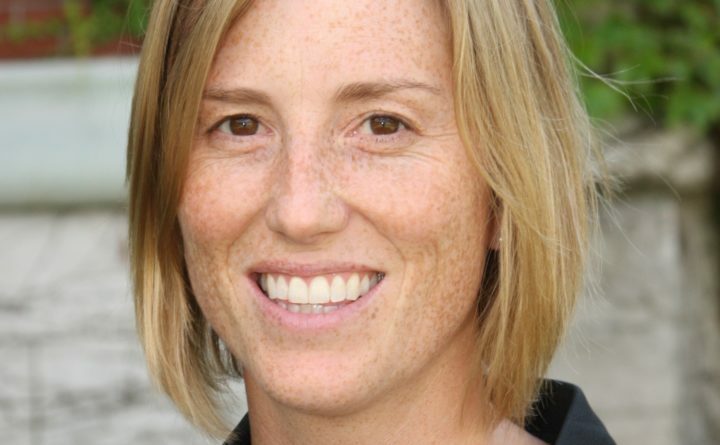 Shibles first head coaching job was at Elms College, and she moved to Swarthmore College before returning to Maine as the dean of athletics and co-curricular programs, and the girls basketball coach at Gould Academy in Bethel. Phelps is in her second season at Bowdoin after spending two seasons at Regis College in Massachusetts. The Thirty Under 30 program recognizes 30 up-and-coming coaches age 30 and under at all levels of the game. Regis went 46-11 and qualified for the NCAA Division III tournament both seasons she was there. Phelps played at Bowdoin College where she was a two-time captain after a successful career at Mount Desert Island High School in Bar Harbor, where she was inducted into the MDI High School Athletic Hall of Fame. It has been a good week for Husson University senior guard Kenzie Worcester of Washburn. Worcester was named to the New England Women’s Basketball Association All-Region second team and will play in the NEWBA Senior All-Star Classic March 23 at Springfield (Massachusetts) College. Worcester was the North Atlantic Conference Player of the Year after averaging 19 points, 5.7 rebounds, 3.2 assists and two steals. She shot 46.1 percent from the floor, 39.6 percent from the 3-point arc and was an 84.9 percent free-throw shooter. The four-time NAC tournament Most Valuable Player concluded her career with a game-high 26 points in a 66-45 loss to defending national champion Amherst in the first round of the NCAA Division III tournament. She finished with 1,869 career points, which is second all-time in school history. “She does everything so well,” Walker said. “I almost want to say she’s perfect. If anyone was perfect, she’s the one closest to it — as a person, as a leader, as a student and as a teammate. “I’m glad she’s getting the opportunity to play in one more game,” Walker said. Kelsi McNamara, Emily Benway and Brunswick’s Julia Champagne from Saint Joseph’s College in Standish also will play in the all-star game.